Registration is underway for Durham’s observance of National Night Out (NNO), America’s Night Out Against Crime on Tuesday, August 2, 2016. Neighborhoods, agencies and businesses are encouraged to support the celebration by organizing or sponsoring a NNO event or promotion. The evening of August 2 residents are asked to lock their doors, turn on outside lights and spend the evening outside with neighbors and law enforcement and public safety partners. Neighborhoods typically host events such as block parties, cookouts, parades, flashlight walks, contests, youth activities and anti-crime campaigns. NNO is a collaborative effort to promote involvement in crime prevention activities, police-community partnerships, and neighborhood unity. 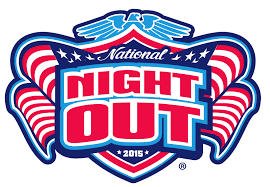 The National Association of Town Watch (NATW), which spearheads the observance, anticipates NNO 2016 will involve over 16,000 communities and 38 million participants from all 50 states, U.S. territories, Canadian cities and military bases around the world. Durham Police Department’s NNO registration deadline is Friday, July 8, 2016. For registration and observance information, go to www.durhampolice.com and click the link above the NNO logo (right side of homepage). Local NNO registrations are separate from registrations with NATW. Direct NNO inquiries to Durham Police Department’s Public Affairs Office at (919) 560-4322 or email DPDNNO@durhamnc.gov.